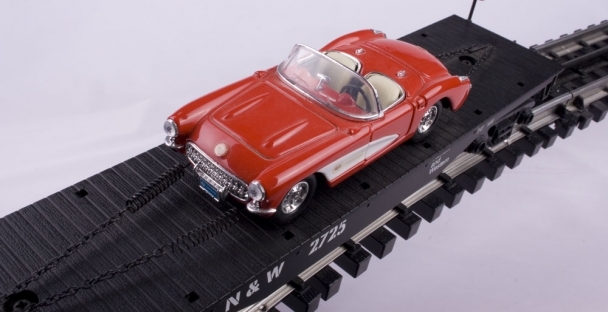 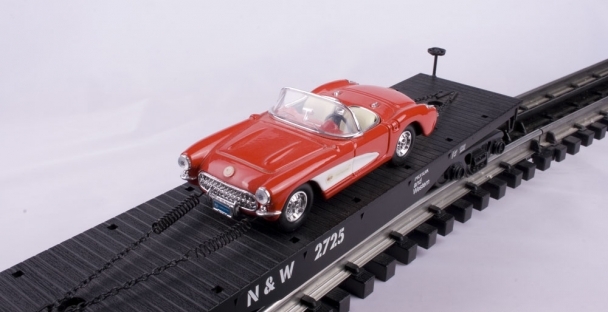 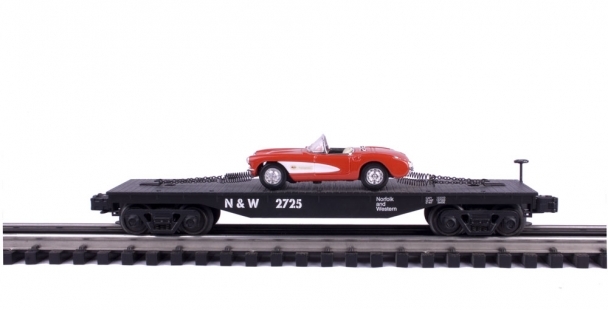 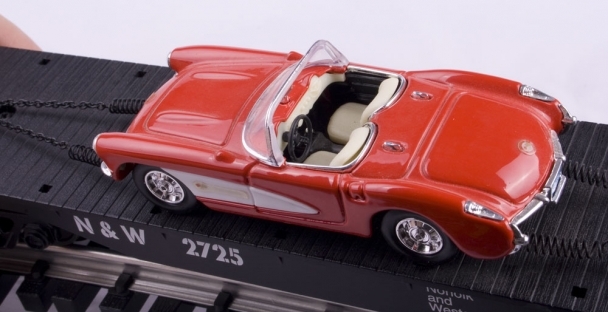 This version of the flatcar has a 1956 Venetian Red Corvette Convertible. 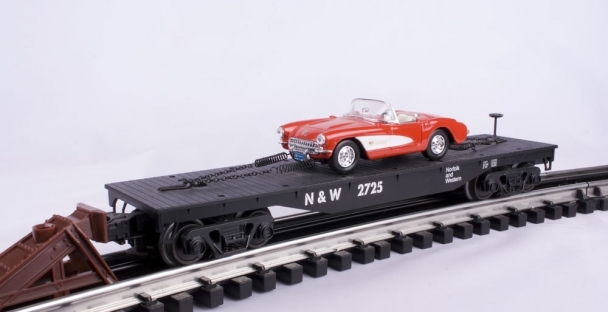 Industrial Rail's other version of this car carries a 1955 V8 Corvette. 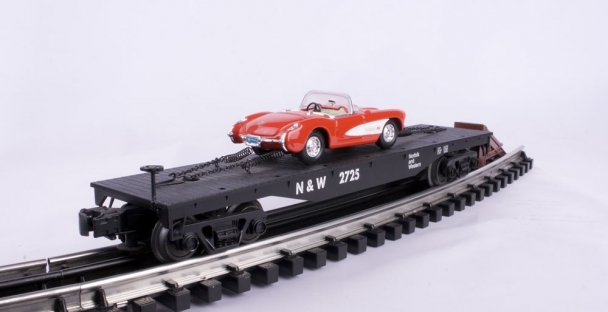 Do you know more about this train?